The information inside can help you make your college dreams come true! Getting into the college you want is one of the most important things you can ever do. Thanks to StraighterLine, now you can find out strategies, tips and hints that can make it easier. Brought to you by StraighterLine, a leader in providing self-paced, online Advanced Placement and introductory college courses. 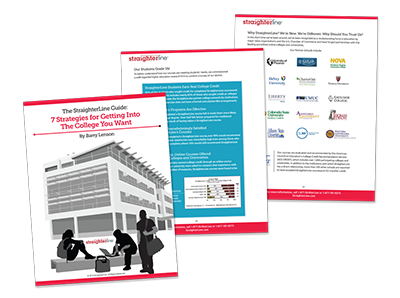 You can now download and enjoy The StraighterLine Guide: 7 Strategies for Getting into The College You Want.